It’s one thing to be to the left of most Republicans if you’re in a blue state. On the other hand, when you’re in a state like Mississippi, where Mitt Romney beat Obama by 11 points, it’s reasonable to expect Republicans to field a conservative senator. Thad Cochran is not a conservative. His lifetime ACU rating is an unimpressive 79, but in 2011 it was 70 and in 2012, only 52. That would be a perfectly acceptable record for a senator from Maine, but it’s ridiculous for a senator in Mississippi to be running up those numbers. On top of all that, Cochran has been in office since 1978, he’s 76 years old, and he’s mainly known for being the pork king of the Senate. In other words, Thad Cochran brings nothing to the table except that he votes for the Republicans more often than a Democrat would, which is irrlevant in a state like Mississippi, where a Democrat isn’t going to win. 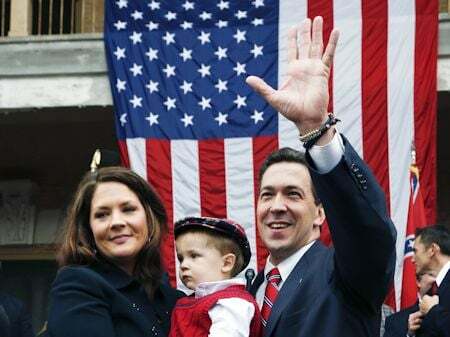 On the other hand,: Chris McDaniel is exactly the type of candidate grassroots conservatives should want in the Senate. That’s why he’s been endorsed by the Senate Conservatives Fund, The Citizens United Political Victory Fund, The Madison Project, the Club for Growth, Tea Party Express and Freedomworks among other organizations. If you want to know why McDaniel is getting so much support, this excerpt from The Madison Project’s endorsement should give you a good idea. During his four years in the Mississippi state Senate, Chris has become the “Jim DeMint” of the state legislature, earning himself the status of the undisputed conservative leader. When we met with Chris, he reminded us a lot of Senator Mike Lee (R-UT). As a brilliant and successful lawyer, Chris has a sagacious grasp of the U.S. Constitution and our founding documents. Unlike others who seek higher office and pander to conservatives, Constitutional conservatism is his first language. He is also extremely well-spoken and articulates conservatism from a position of strength, hearkening back to his days as a talk show host in central Mississippi. Chris has been a Tea Party leader since April 15, 2009. He brought the message of the Tea Party to the state Senate, and in 2012 he formed the Mississippi Senate Conservative Coalition (MSCC), a group of eleven conservative senators committed to challenging the big government policies of both parties. In the state Senate, he fought against illegal immigration, a gas tax increase, and wasteful spending. While Sen. Thad Cochran was voting for eminent domain, McDaniel was leading a complex battle on the Mississippi Senate floor to protect land owners after the egregious Kelo decision from the Supreme Court. In 2010, Chris filed the federal class action suit against Obamacare on behalf of the state of Mississippi. And he recently led the fight to crack down on illegal immigration. McDaniel is just as strong a fighter for social conservative causes as he is for fiscal issues. Earlier this year, he used his legal expertise to pass the Mississippi Student Religious Liberties Act, which protects students from being discriminated against for their religious expressions. While every insurgency race is an uphill battle, this one has the easiest candidate for us to get behind. This is a no-brainer. You could not possibly ask more from a candidate going up against a 40 year experienced politician. Chris is universally regarded as the conservative leader in the state, has a base of support, a fervent grassroots following, a brilliant legal mind, and an uninfringeable desire to storm the castle and countermand the failed approach of the Republicans of yesteryear. When Republicans like Ted Cruz, Mike Lee, Jeff Sessions, and Rand Paul are going to war in the Senate, Chris McDaniel is the kind of Republican who’d be right there with them. In addition, while most challengers have an extremely tough time knocking off incumbents, multiple polls already show McDaniel with a few points on Cochran. As a practical matter, what that means is that the favorite in this race is Chris McDaniel, not Thad Cochran. So, if you want to support a winner? Donate to Chris McDaniel. You want to make the Senate more conservative? Donate to Chris McDaniel. Want to back a candidate this year that everyone will be talking about next year? Donate to: Chris McDaniel. : Do you want to knock off an old bull Republican and make the GOP establishment pay attention? Donate to Chris McDaniel. Right Wing News is pleased to endorse Chris McDaniel and I hope RWN’s readers will give him the support he deserves.